Oh, Yay! More Great News for Women! 2017 Edition! 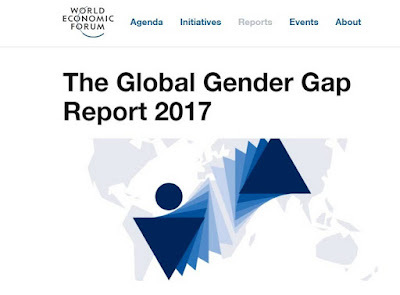 The World Economic Forum has just published its annual Global Gender Gap Report. Published every year since 2006, the report "benchmarks 144 countries on their progress towards gender parity across four thematic dimensions: Economic Participation and Opportunity, Educational Attainment, Health and Survival, and Political Empowerment." Of course, we'd like to believe that women are closing the gap--that, all over the world, despite the obstacles they face, women are making progress. Unfortunately, that is not the case. Last year, assuming "[a]ll things held equal," the global gender gap was projected to close in 83 years. But things did not hold equal--today, "with current trends, the overall global gender gap can be closed in exactly 100 years [emphasis added] across the 106 countries covered since the inception of the Report" (viii). Let's start with the good news, or at least the sorta good news: "On average, the 144 countries covered in the Report have closed 96% of the gap in health outcomes between women and men." This is the "smallest gap," but the numbers remain unchanged since last year. 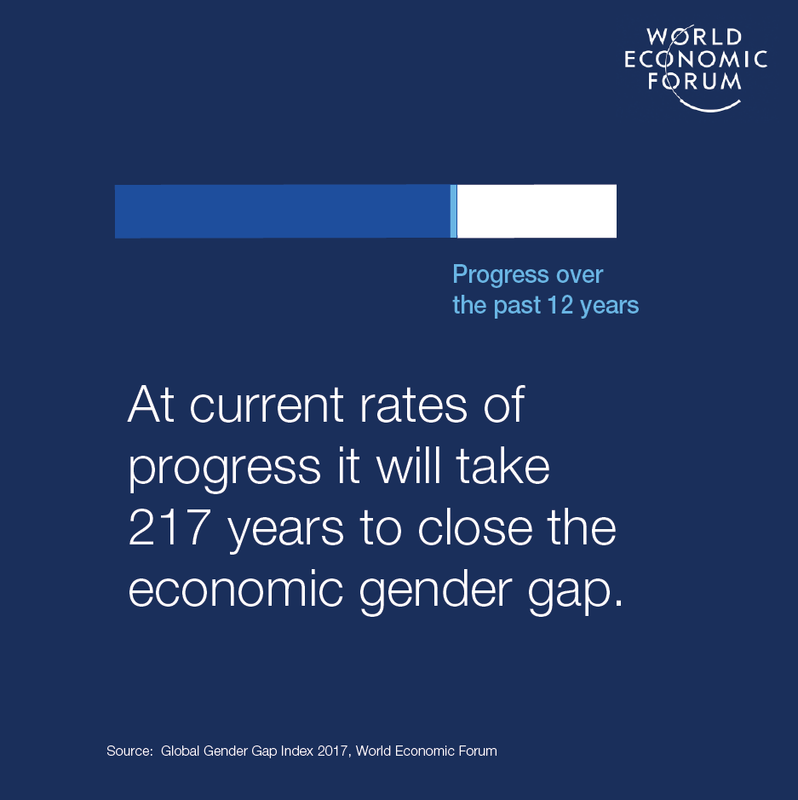 Still, "the gap is larger than it stood in 2006" (25), when the first Global Gender Gap Report was published. As for the U.S.? Don't look for them in the "top ten"--that is, the countries which have succeeded in "closing more than 80% of their overall gender gap" (14-15). Those countries? Iceland, Norway, Finland, Rwanda, Sweden, Nicaragua, Slovenia, Ireland, New Zealand, and the Philippines. Where is the U.S.? It's ranked at 49 among the 144 countries in the global report. --right below Bangladesh and Peru, right above Zimbabwe and Jamaica. If you want to see the complete list of rankings, look for Table 3 (10-11). And you can see a "country scorecard" by clicking here. For my blog post on last year's Global Gender Gap Report, click here.